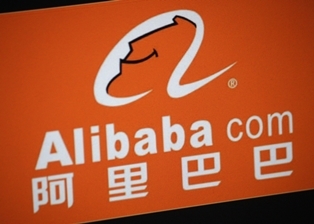 A new report from The Wall Street Journal indicates that Alibaba stock (NYSE: BABA) could begin trading on the New York Stock Exchange as soon as Sept. 18. The Alibaba IPO has become the biggest story on Wall Street this fall, as it's expected to be one of the largest initial public offerings ever. Many estimates call for a $20 billion price tag on the deal. Even conservative estimates expect the Alibaba IPO price to top the $16 billion Facebook Inc. (Nasdaq: FB) raised in 2012, which stands as the largest tech IPO ever. The size of the IPO, and the company itself, will make Alibaba stock a hot commodity in the coming weeks. When Facebook stock began trading in May 2012, more than 579 million shares exchanged hands on the first day. Alibaba should see even more action. According to Reuters, there's a long list of mutual funds and ETFs that plan on adding large quantities of BABA stock to their holdings. Funds that designate large percentages of their holdings to foreign markets or technology will likely be the first in line for Alibaba stock, but they won't be the only ones. Alibaba is expected to have a valuation anywhere between $150 billion and $200 billion, which would make it one of the 20 biggest firms trading in the United States. Because of its size, it will attract a wide audience. "It is the 8,000-pound gorilla coming for the stock market," RS Investments' portfolio manager Michael Reynal told Reuters. While this may be music to the ears of Alibaba officials, it's bad news for some other major tech stocks. As these funds add BABA to their holdings, they'll have to boot some other underperforming stocks. Here are some of the candidates that could go.